BSD IS NOW AT CHEAP GOODS BMX! 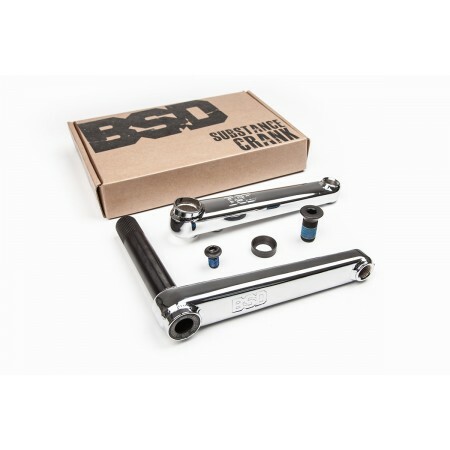 WE CAN GET ANY PART FROM ANY COMPANY! 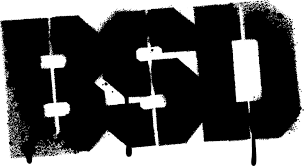 JUST MESSAGE US OR GO TO OUR WEBSITE! 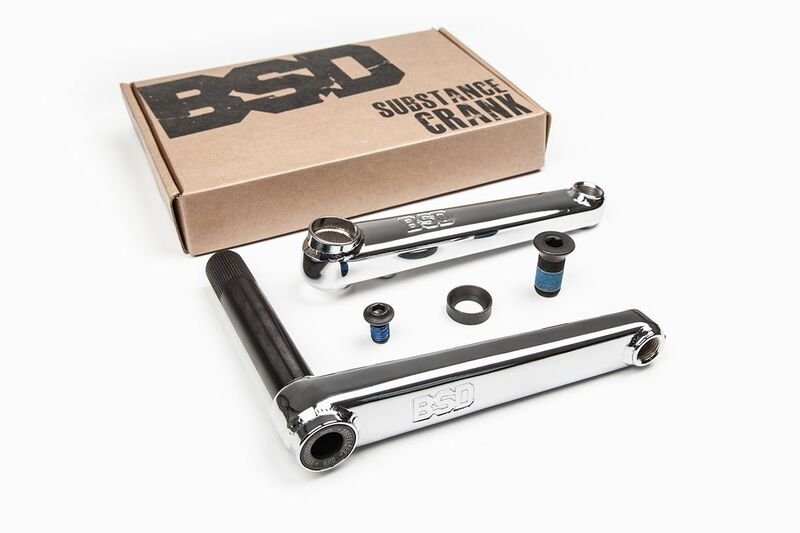 The BSD Substance cranks feature a 2.5 piece design with rectangular shaped 4130 heat-treated chromoly arms to increase strength and stiffness, extra thick pedal bosses that are angled back for frame clearance, a 22mm hollow heat-treated chromoly spindle with single hollow flush mount bolt to help save weight and stamped BSD logos for the finishing touches. RHD/LHD compatible. Note: Includes arms, spindle and bolts only. 22mm spline drive sprockets can only be used on the left hand side.